What goes with almond milk smoothies? Well almost anything. Since discovering almond milk I almost never use dairy milk in my smoothies any more. And after some experimentation with different flavors I’ve also discovered that almond milk pretty much goes with any flavour combination. 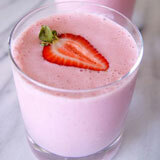 It gives flavour to banana smoothies, and adds a creaminess to berry smoothies. Almond milk is made by grinding almonds together with water. It was popular in earlier times and was frequently added to recipes in medieval Europe and drunk as a beverage in the Middle East. It’s now enjoying something of a resurgence in popularity as the modern world discovers its health benefits. The advent of modern blenders means it is much easier to make and results in a finer milk. Perfect for adding to smoothies. 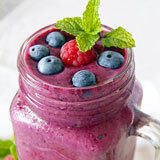 What is the benefit of using almond milk in your smoothies? 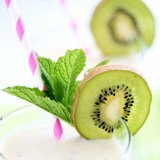 It has a slightly nutty taste which adds a delicate hint of almonds to your smoothies, without being overpowering. While it can easily be substituted for regular milk in most recipes, it’s particularly great in smoothies. 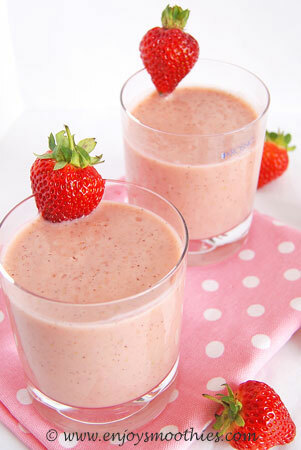 It cuts down the sweetness in fruit smoothies as well as making your smoothies thicker and creamier. Anyone who is vegan, allergic to milk or looking for a dairy-free alternative can enjoy almond milk. Because it contains no lactose it’s the ideal dairy substitute for those with a lactose intolerance. However, be aware that almond milk is NOT safe for anyone who has a tree nut allergy. It contains no cholesterol or saturated fats. Like all nuts it contains healthy fats, such as omega fatty acids, which help prevent high blood pressure and heart disease. It’s also low in carbs, with only 7 grams of carbohydrates per serving. Such low levels won’t raise blood sugar levels, giving almond milk a low GI rating. Almond milk is particularly diet friendly. In fact I would heartily recommend it to anyone looking to lose weight. One cup only contains 60 – 70 calories. There’s also the added benefit of storage. It can be stored for long periods of time at room temperature without needing refrigeration. When buying almond milk do remember to read the labels and make sure there are no additives or sugar added. Always choose the unsweetened version. Peel and chop the banana into chunks and remove the pit from the dates. 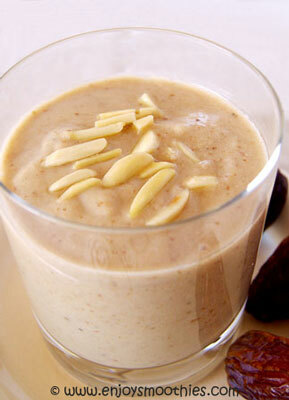 Throw the banana and dates into a blender jug, then add the chopped almonds, almond milk and vanilla extract. 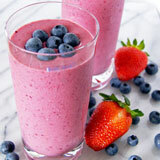 Give the blender a burst on low first to break up the almonds, then turn up to high and blitz until smooth and creamy. 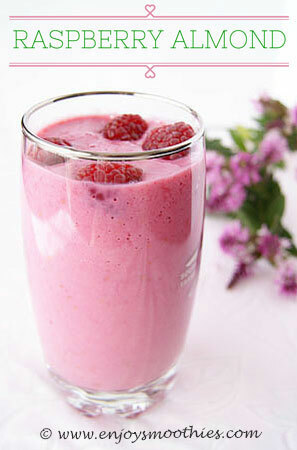 Add the frozen raspberries, pineapple, almond milk and vanilla to your blender. Blend on low to break up the raspberries then blend on high for about a minute until smooth and creamy. Peel and slice your kiwi fruit then hull and slice the strawberries. Place all the fruit into a blender jug then add the almond milk and yogurt. Blitz on high until smooth and creamy. This should only take a few minutes.